Sometimes movie monsters aren’t quite what they seem. Despite having gnashing teeth, a propensity for violence or even rotting flesh, some of the most horrific characters can be hiding a softer side. Whether they eventually see the error of their own ways or they are just simply misunderstood, many of these offer more than meets the eye. Admittedly, Joel Schumacher’s infamously campy take on Batman doesn’t have a lot of positives going for it. Almost killing the franchise completely dead with his relentless tongue-in-cheek take on the superhero, Batman & Robin was deservedly panned by critics. However, Schumacher should at least be acknowledged for giving a different spin on the supervillain. Arnold Schwarzenegger’s performance as Mr. 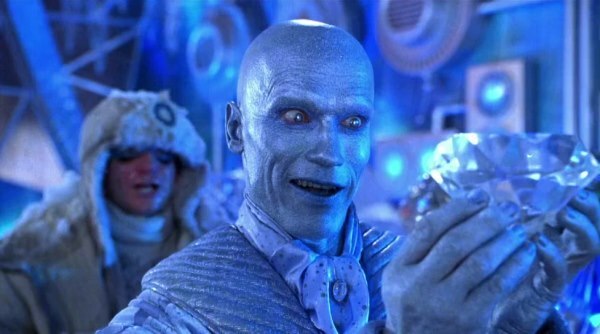 Freeze almost turns him into a stereotypical pun-spewing antagonist, but the movie reveals that Freeze is actually a tragic scientist who is attempting to find a cure for his terminally ill wife. The backstory isn’t quite pulled off as successfully as it has been done in the Batman comics and the animated series, but at least it’s an attempt to make the archetypal villain a little less one-dimensional. Trippy 80s fantasy flick Labyrinth is most commonly remembered for featuring a typically enigmatic performance from David Bowie as Jareth, the Goblin King, but the puppets are the real stars of the movie. Designed and created by Jim Henson’s Workshop, almost the entire cast of supporting characters come in puppet form and their weird design helps to create the dream-like fantasy world (Bowie’s weird all-singing and dancing performance helps, too). One of these creatures is Ludo, a gigantic, hairy beast with a face like a bulldog and two horns sticking out of its head. 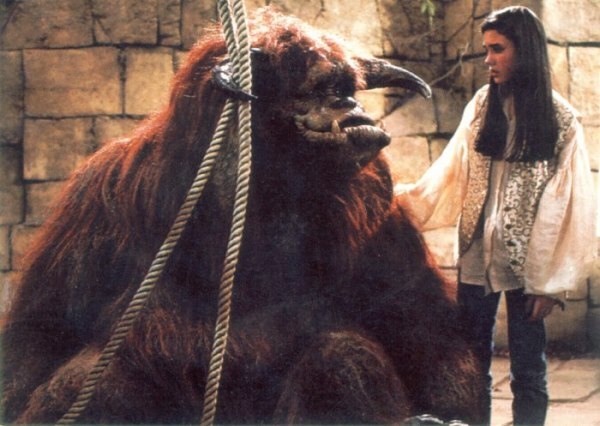 However, despite his fairly monstrous appearance, Ludo is actually a kind-hearted, playful creature who becomes a vital companion to protagonist Sarah as she makes her way through the Labyrinth. The legend of bigfoot has all the makings of a great cinematic horror icon. Although few filmmakers have taken advantage of the bigfoot and sasquatch myth, the idea of a feral beast living in the woods would rightly scare the living daylights out of any hunter or camper who finds themselves stranded in the wilderness. 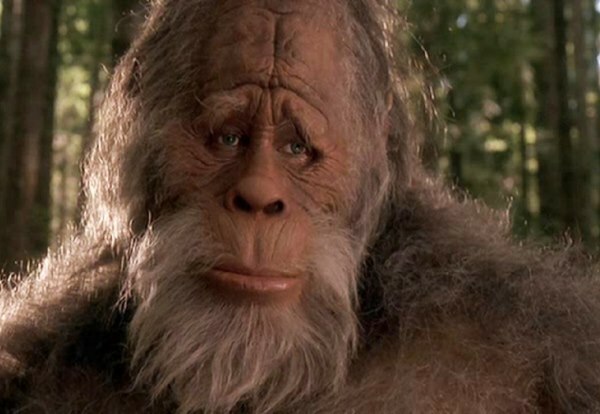 However, in the family comedy Harry and the Hendersons, bigfoot (or Harry as he is nicknamed) is a big loveable goofball who literally doesn’t want to hurt a fly. 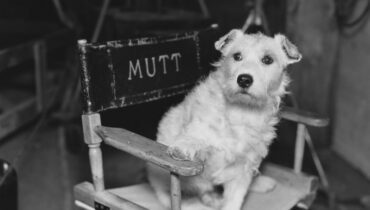 In fact, watching the movie it’s surprising that he has managed to live in secrecy for as long as he has, but his emotive face and shaggy coat makes him seem more like a friendly family pet than a mythical beast. It’s hard to sympathise with zombies. Rotting flesh and diminished brain capacity aside, audiences can’t really be expected to side with the horror creations when all they want to do is chase the living and eat their flesh. 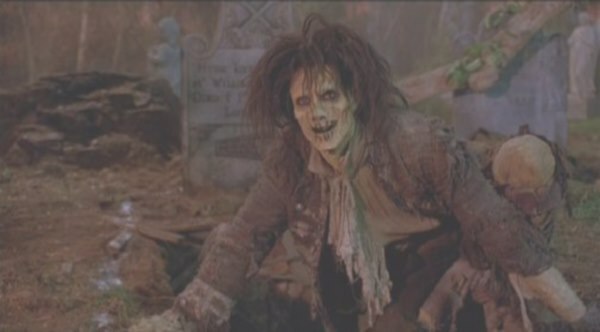 However, Billy Butcherson from Hocus Pocus is a different type of movie zombie. Killed in a fit of jealous rage by lead witch Winifred and reanimated 300 years later, Billy is forced to do the bidding of the trio of evil sisters. With a stitched up mouth, decaying flesh and tattered clothing, Billy is first introduced as a scary accomplice of the witches, but he eventually turns against them and teams up with the children. Billy is ultimately a sympathetic character as it turns out has suffered from the wrath of the witches in the past, and horror legend Doug Jones turns in a brilliant performance as the shambling, sad zombie. Hansel & Gretel: Witch hunters is a gleefully silly and gory reimagining of the original story. Setting itself apart from recent serious and darker takes on fairy tales, Hansel & Gretel is a fun action horror movie which never takes itself too seriously. In the movie’s strange universe, trolls are forced to serve witches and do their bidding. However, one troll named Edward defies his masters to help Hansel & Gretel destroy the evil coven of witches. Admittedly, Edward does go on a rampage and kill a few people, but each head he squishes belongs to a bad guy so his outbursts are forgivable. Brought to life by some seriously good practical effects and animatronics, Edward is another huge hulking character who is thankfully on the side of good. 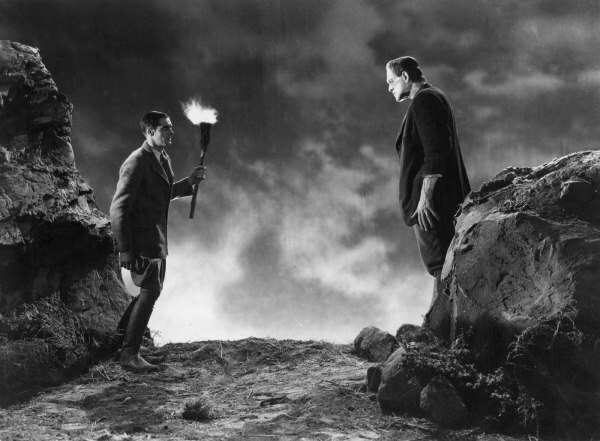 Is there a character more tragic than Frankenstein’s Monster? Although some movies have taken considerable liberty with Mary Shelley’s classic novel, James Whale’s definitive 1931 adaptation pays proper tribute to the horror legend. Starring Boris Karloff as the Monster, the misunderstood creation simply cannot comprehend why it is vilified, antagonised and feared by those who come across him. The Monster does leaves havoc in its wake, but it truly doesn’t understand its own actions and those of the people around him. 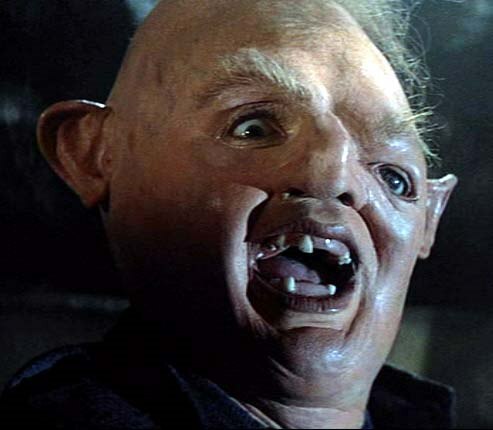 Although Sloth is only briefly used as a scare tactic before becoming a hero in seminal kid’s adventure classic The Goonies, the character is a lot more tragic than most people probably realise. When poor hapless Chunk gets captured and interrogated by the evil Fratelli family, he gets locked in a room with a man who is hidden away in the corner watching television. When Chunk calls out to the man, the mysterious figure turns around and reveals his horrifically deformed face and screams at the unsuspecting child. As most fans of the movie remember, Chunk becomes firm friends with the slow but good natured man and it is revealed that Sloth is actually the deformed son of the evil Fratelli family. Because of his deformity the Fratellis keep him locked in a dark room with only a television set for company until he eventually escapes and joins up with the Goonies. It’s a dark, twisted scenario, especially for a children’s movie, and it’s even played for laughs when Mama Fratelli says that she only dropped him once or twice as a child. It’s pretty messed up, really. Even before the Western remakes of Godzilla were released in 1998 and more recently in 2014, the most casual of movie fans knew a little about the Japanese kaiju legend. An enormous, devastating prehistoric lizard-type creature who is awakened by the effects of nuclear bomb testing, Godzilla is mostly remembered for stomping around Tokyo and causing massive amounts of damage to anything in its path. However, in most of the many cinematic appearances Godzilla has made, the creature is kind of the good guy. 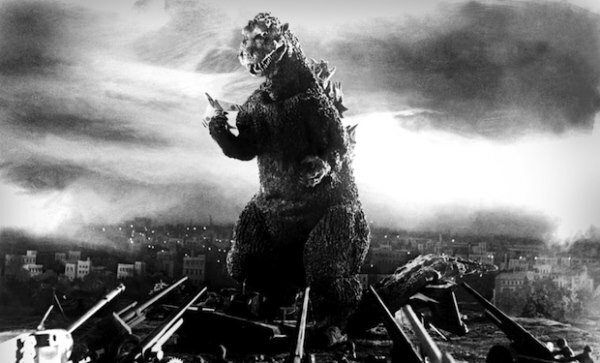 His behaviour and motivations have changed many, many times over the years, but for the most part Godzilla is an antihero who is protecting himself (and, by extension, the rest of humanity) from bigger and worse threats. Godzilla doesn’t go out of his way to avoid stepping on buildings and he doesn’t really care if a whole load of humans get squished in his big kaiju fights, but he has teamed up with humanity on more than one occasion and he usually wanders off after he’s won his fight. 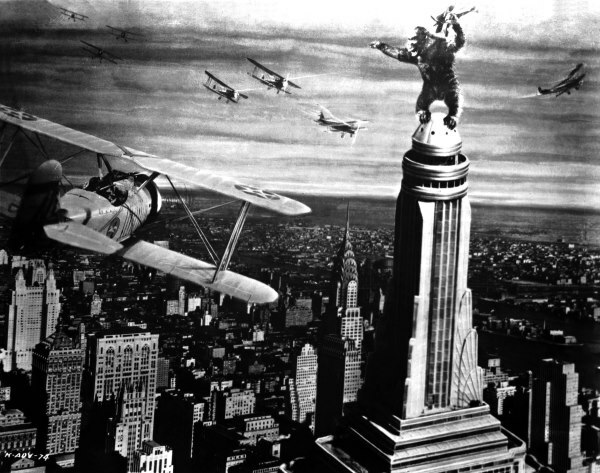 When most people think about King Kong they picture a giant ape hanging off the top of the Empire State Building swatting at circling planes. 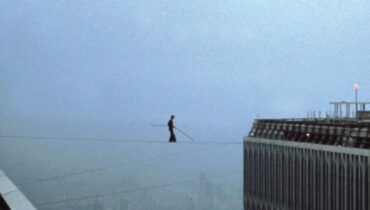 However, King Kong is far from a rampaging menace. Forcibly taken from his home on Skull Island and paraded around New York as a novelty, Kong is a confused creature essentially fighting for survival. 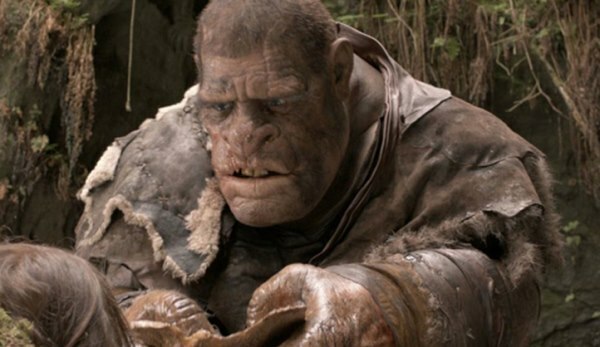 As perhaps shown best in Peter Jackson’s 2005 bloated reimagining of the original classic, Kong forms a special relationship with Ann Darrow and shows a sort of fierce protection and loyalty for her. Although Kong is essentially an oversized animal running on his instincts, it’s much fairer to see him as a tragic antihero. Arguably one of the most underrated cartoons ever made, The Iron Giant is a devastating, emotional story about a young boy who befriends a giant alien robot. In most movies, a crash landed robot would be seen as a terrifying extra-terrestrial force to be feared, and the Iron Giant even has a pulpy design inspired by old sci-fi movies which show out of control robots destroying everything in sight. However, the malfunctioned robot is revealed to be childlike and curious and, despite being installed with massive energy guns, he quickly learns from the boy that he wants to be more like a superhero instead of a giant weapon (the boy reads the Iron Giant comic books and his his favourite character is Superman). 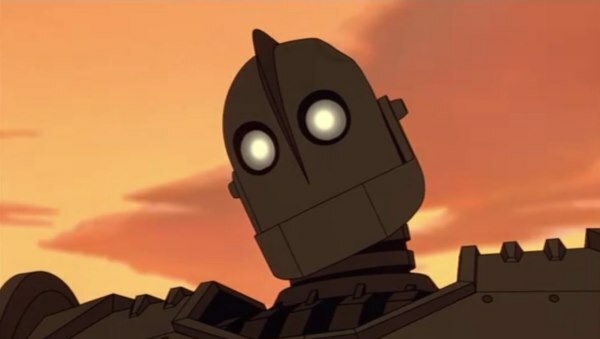 Ending with a heart-wrenching act of self-sacrifice, the Iron Giant is an old-fashioned tale with a big heart.